As Quoted Cookbook Club is a once a month gathering of friends to encourage and practice cooking, try new foods and enjoy the many beautiful and tasty cookbooks available with great company. This Cookbook Club meets once a month at our Sacramento Street location to gather and dine but is open to anyone over the world. 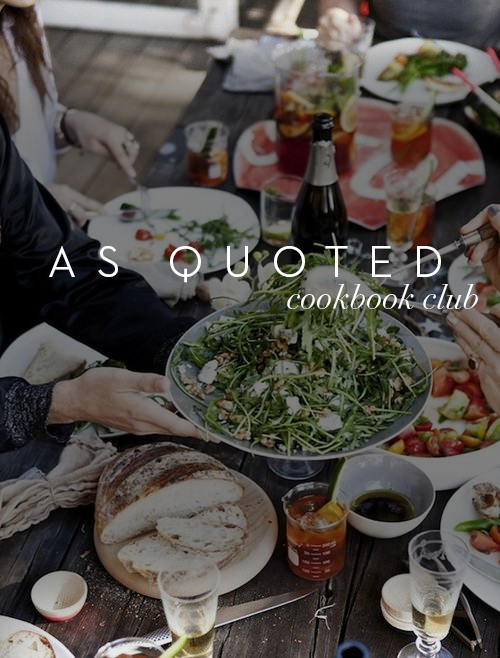 We invite you to join us by following along and cooking at home from the same Cookbook of The Month and tag the Instagram handle @LiveAsQuoted and #AQcookbookclub. Want to start a branch of As Quoted Cookbook Club in your area? Email andie@eatasquoted.com for help on getting started!